The New York Rangers brought ferocity early and the Capitals could not fight their way out of the hole in which they found themselves after the first 20 minutes of Sunday’s Game 6. Chris Kreider put NY on the board in a flash as he rushed to the net and put a surprising puck past a sleepy Braden Holtby in the first minute. Just over 19 minutes later, after numerous chances by both teams failed to beat this postseasons’ two best net-minders, Kreider made it 2-0. With just over three seconds remaining in the first period, after an amazing series of PK face-off wins, short-handed pressure, and even earning a power play for the Boys in Red, Troy Brauwer earned a spell in time-out for himself. Three seconds later, shortly after a Rangers face off win, one of the eight successful offensive zone face-offs the Rangers secured in their first nine attempts, and directly after Braden Holtby stopped the ensuing shot, John Carlson accidently kicked the unsecured puck through the legs of his goaltender, where Kreider converted the easy layup with 00.3 seconds remaining on the clock. The Capitals came out for the second period undaunted and cut the deficit in half just over thirty seconds in when Jason “New York” Chimera crashed the net and slapped a rebound past King Henrik. Over the next 25 minutes the Capitals out attempted the Rangers by about twenty, but nonetheless found themselves down three goals after Dan Boyle made it 4-1 when he put a long shot past a Braden Holtby. Washington’s net minder did not stand a chance as his view was completely obscured by a screen from teammate Jay Beagle, who did such a good job of camouflaging the shot that it was hard not be reminded of Joel Ward’s legendary behind, just on the wrong end of the ice. Though the game appeared to have become a laugher, the Washington Capitals did not cower or surrender to the President’s Trophy winning Rangers, they continued to pile on the pressure. Three minutes after Boyle scored his second of the series, Evgeny Kuznetsov matched the feet, bringing the Capitals within two goals with shot on Lunkqvist’s short side, the beneficiary of a Joel Ward forced turnover. Another three minutes later Joel Ward crashed the crease and deposited a Jason Chimera rebound into the Ranger’s net, pulling the home team within a goal with nine and a half minutes to play. The remainder of the game was filled with great sound and fury, Washington out attempted the boys from the Big Apple 35-9 over the final frame and held them without a shot on goal after the Boyle marker. Wave after wave the Capitals sent raging into the offensive zone, stymied as the King offered up save after save, until finally, with two and a half minutes left, a bad call actually went the Caps way, as the refs incorrectly found the Rangers guilty of delaying the game, giving the NHL’s best regular season power play a chance to find the equalizer. But it was all for naught. As has been the case all postseason, Washington’s power play squad was inept, unable to get pucks to the net, even after pulling Holtby and going up 6 men to 4. It has become clear that John Carlson cannot get the puck to Ovechkin in a position to put dangerous shots on goal, and without the most dangerous scoring threat in the league, the unit looks confused and indecisive. The power play failed and the 6 on 5 squad fared no better, the clock struck twelve and the Capitals’ 3-1 series lead turned into a pumpkin. Game 7 has been announced for Wednesday afternoon. It will be the third Game 7 for these two teams in the last four years, and the fourth since the 2009 playoffs, the Caps are 1-2 in those match-ups. Washington defeated the Rangers in 5 games in the spring of 2011. 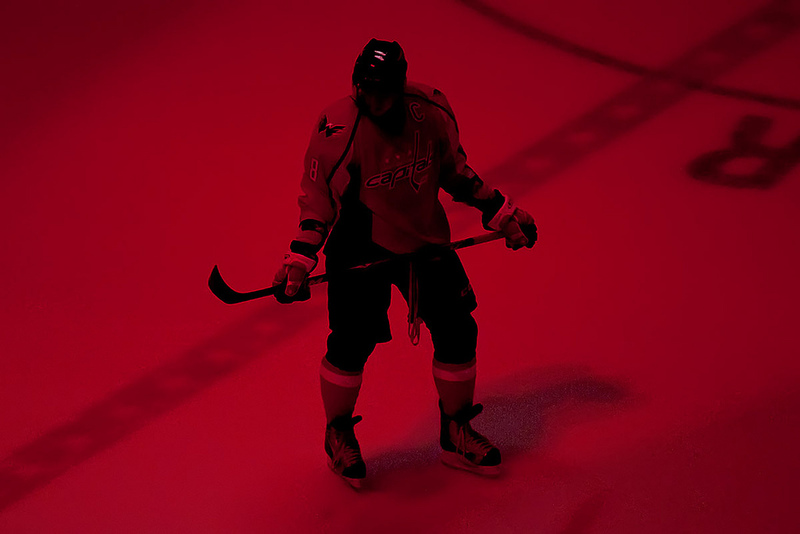 Washington Capitals Need to Clean Up Their Play or it’s Game Over For D.C. The Boys from Chinatown have played a lot of poor hockey so far this postseason, and there’s plenty of blame to go around. The New York Islanders came out Sunday morning with the same kind of fire the Capitals used to even the series on Friday, and they left the ice with similar results. This is not unusual in strong playoff match ups, and fans rocking the red will be well accustomed to these nauseating roller coasters after no less than three straight seven game entanglements as their immediate playoff history. Game after game sees the previous tilt’s loser hit the ice with focus and desperation their opponent just cannot match. The Caps certainly could not meet the intensity of the rebounding Islanders Sunday morning, instead they were complacent, as if waiting for the match to slow down and become manageable. But manage it they did, finishing the second period down only a goal, no larger a deficit than that which stood before them with 20 minutes remaining in Game 2.